Pagadian City, Zamboanga del Sur - The Agricultural Training Institute-Regional Training Center IX recently undergone the 3rd Party Audit for ISO 9001:2015 Certification. It took a year of preparation to comply with the requirements of International Organization for Standardization (ISO). ISO 9001 is the International Standard that specifies requirements for Quality Management System (QMS). The activity started with a short opening program to welcome TUV SUD auditors who will conduct the 3rd Party audit. Followed by the opening meeting by the auditors as they presented the audit plan which started from the Office of the Center Director, Management Team, Planning Monitoring and Evaluation Section, Administration & Finance Unit, Partnership and Accreditation Services, Career Development and Management Section, Information Services Section, Internal Quality Audit Team and Document Control Custodian. Tense and excitement arise after the audit and during the closing meeting as they discussed the result of the audit. 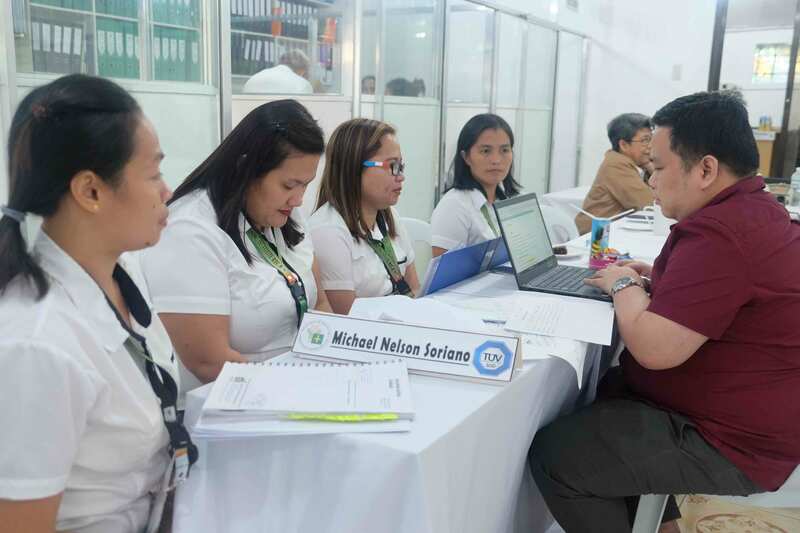 The audit was conducted by Mr. Michael Nelson Soriano and Mr. Roy Ramos as auditors, the latter as the lead auditor together with Ms. Eugenia Santiago as Technical Expert. The findings of TUV SUD Auditors were six Minor nonconformities (MiN) and two opportunities for improvements (OFIs). It showed that the center really followed and passed the QMS standard. ISO Certification was not an easy journey, but with the willingness and cooperation of everyone to achieve the certification nothing is impossible. The hard work and teamwork were heightened with the guidance of the new Officer-In-Charge Center Director Ms. Alicia Rose D. Nebreja. Further, Engr. Paul C. Mondonedo, ATI hired ISO Consultant, played a vital role as he imparted his knowledge and expertise with regards to ISO. Especially, on the things that should be done to comply all the requirements. Furthermore, ATI-RTC 9 is one of the nine centers who had undergone the 3rd Party Audit for 9001:2015 certification for the first time.